Ahhh.. Mac & Cheese. I can feel my cholesterol rising as I type this. 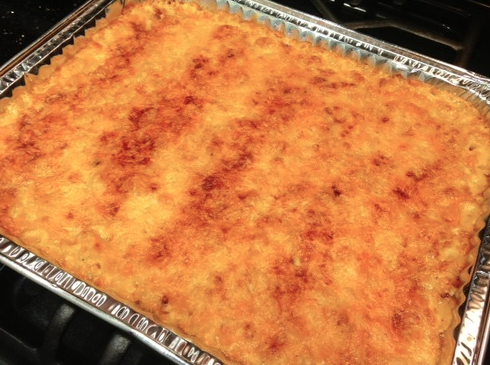 This is seriously one of the best mac & cheese recipes you will EVER find. It’s easy, fast, and DELICIOUS. I feel like I say this about every single recipe I share with you guys, but dammit I am not lying! Add water and a little salt to a pot and boil the macaroni for 7 minutes. It’s important to NOT overcook them. In the mean time pre-heat the oven to 375 degrees and start working on your sauce. Melt the butter, add mustard, salt, pepper, 1/8 teaspoon of smoked paprika, and flour. Stir for a couple of minutes, and add the milk. Back to the macaroni: Drain in a colander and add a teaspoon of butter so that it doesn’t stick to the pot. Set aside for a minute or two. Once the sauce has thickened, turn off the stove, add 2 cups of the cheese and stir. Pour the cheese sauce over the macaroni and stir (gently of course). 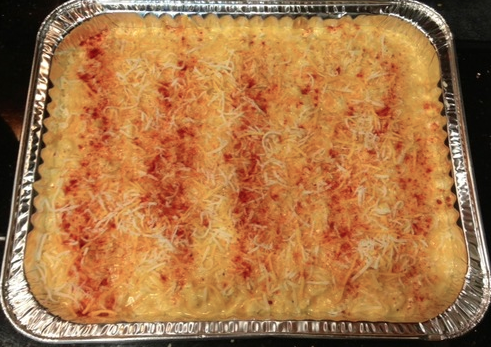 Pour half of the macaroni & cheese in a baking dish. Sprinkle ½ cup of cheese. Add the rest of the mac & cheese mixture, sprinkle another ½ cup of cheese on top, and some more paprika. Serve with garlic bread or your favorite side dish!